Our panel of experts (that will provide a Q&A) as well as a 1 hour discussion with one of our panels on common mistakes of Property Management. We will also have a Preferred Partner Expo. NARPM Florida State Chapter and The Orlando State Chapter is Requesting Donations for Hurricane Michael Relief Efforts. Donations will be given to our Property Management friends and NARPM Members in areas affected by Hurricane Michael. Bring your donated Items to the November 8th, 2018 Orlando-Central Florida NARPM Expo. 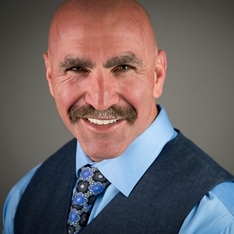 Steve Rozenberg is an entrepreneur, international commercial airline pilot flying the famous Dreamliner 787, real estate investor, CEO, business strategist, international speaker and a leading expert in real estate investing. His company Empire Industries is considered one of the top residential property management companies in the United States, providing frustration free property management by investors for investors. Steve is a full time commercial airline pilot flying the Dreamliner 787 and the CEO and co-founder of Empire Industries Property Management and Realty Services based in Houston, TX. Empire was started in 2012 with a mission to approach property management from an investor standpoint. Built on the principals of investing, Empire Industries stresses the importance of having the properties cash flow, while viewing themselves as teammates of their clients working towards a common goal – having their investment produce income. 620 AM KEXB The Experts in Business with Brian Glenn and has been featured across the country and in Australia on multiple real estate investor programs including Flip Nerd, “Best Real Estate Investing Advice Ever” with Joe Fairless and is a frequent speaker for the Lone Star Real Estate Expo in Houston and several motivational and real estate conferences throughout Australia. Steve Rozenberg University was established in 2013 with its mission to increase investor education and wealth building to others around the world. It has produced over 100 video seminars for its “Owner Education Series” and “Steve Rozenberg On the Road”. Steve is a member of NAPM Houston and Ft. Worth, TX and is a licensed real estate agent. Steve lives in Houston with his wife and son. Paul Arrington’s Real Estate and Mortgage experience began after culminating a successful 20+ year career with the United States Air Force. Prior to starting Arrico Realty and Property Management, Paul worked as a Realtor® and Mortgage Broker with Keller Williams Realty, Total Home Source, Inc., Florida Mortgage Funding and Premier Mortgage where he closed millions of dollars in real estate transactions. Paul earned his Florida Real Estate Broker License and founded Arrico Real Estate and Property Management, LLC in January of 2008. Paul became a Florida Licensed Real Estate Instructor in 2013 and is also an Instructor for the National Association of Residential Property Managers. 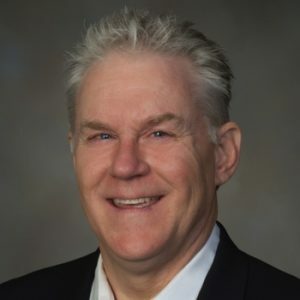 Paul has managed 1000s of homes and is the Regional Mentor and Qualifying Broker for twelve Property Management Incorporated (PMI) Franchises including PMI Arrico Realty & Property Management that employs three realtors and two office personnel. Paul was the founding Chairman of the Greater Tampa Association of Realtors (GTAR) Property Management Task Force and President of Tampa Bay Chapter of the National Association of Residential Property Managers (NARPM®) and holds the Master Property Manager (MPM®) and Residential Management Professional (RMP®) Designations through NARPM as well. He is currently the Education Chair for the Tampa Bay Chapter of (NARPM®) and serves on the (GTAR) Property Management Task Force. Paul is also serves as a GTAR Realtor® Ambassador to MacDill AFB, FL. Robert graduated from Michigan State University in 1969 with a degree in Business and Marketing. Robert got his real estate license in 1973 and has practiced real estate sales, investing and property management ever since. He and his wife Betty have bought over 150 houses for their own account and have located over 500 houses for their investor clients. Robert started managing rentals for others in 1980 out of his basement as Crown Management Corporation and over 9,000 tenants have rented from Crown since then. Crown had acquired 14 other management companies in the past 10 years and Robert brokers the sale of management companies between others. Crown’s clients included accidental landlords, private investors, Real Estate Investment Trusts, banks, government agencies, builders, lenders and other brokers. Crown was managing 1000 single family rentals in 2015 when Realogy, a fortune 500 company (and the largest real estate company in the world), bought the company. Robert is past president and board member of the Atlanta chapter of the National Association of Residential Property Managers. He received the Residential Management Professional (RMP) designation in 1998, his Master Property Manager (MPM) designation in 1999, and Crown received the Certified Residential Management Company (CRMC) designation in 2000. Robert is a frequent speaker at local, national and international real estate conventions. 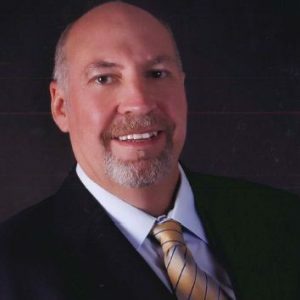 He has been hired by attorneys needing expert witness in magistrates, state and federal courts on property management disputes and is a trainer in the real estate investing community. Robert is a certified instructor for the National Association of Residential Property Managers and a member of the Partners in Education for the Georgia Association of Realtors. Crown Investor Institute is an accredited school with the Georgia Real Estate Commission and their courses focus on issues of leasing, property management and real estate investing. ← NARPM Northeast FL – Crime Prevention – Don’t Be A Victim!